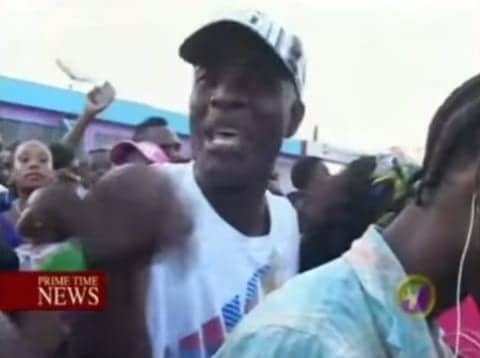 On June 28, when cities across the world were celebrating Pride, an estimated 25,000 Jamaicans took part in a rally in Kingston to stop the “gay agenda,” according to The Jamaica Observer. Jamaica has a history of violence against it's LGBTI citizens. A coalition of church groups organized the rally to address their opposition to “the homosexual agenda” and what they claim is a growing threat to fundamental rights and freedoms. The umbrella group CAUSE (Churches Action Uniting Society for Emancipation) was set up following the removal of Professor Brendan Bain as Director of the Caribbean HIV/AIDS Regional Training Network at the University of the West Indies. Bain’s removal came after claims by gay and human rights activists that he had lost the confidence of the community that the programme was established to serve. "I know that in Jamaica, as in other countries that have successfully addressed this issue, love will speak louder than hate. However, as I march in the streets of Toronto with my inclusive church community, I will sadly reflect on the needless pain that blind evangelical religious ideology has inflicted on my “One Love” island. I pray that the voices of tolerant religious leaders will be amplified in my beloved homeland. Until then, I march, and speak, for those who cannot, even though my doing so is often tinged with sadness."